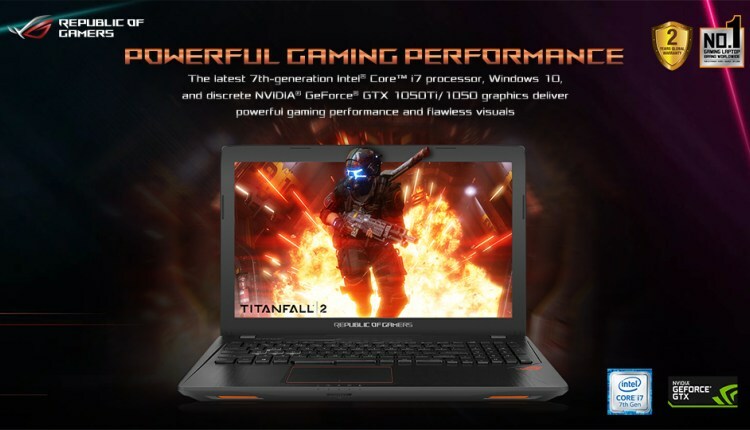 As we mentioned earlier, this is one of two gaming-centric laptops that has been released by ASUS; they are the GL753 and GL553. “We expect that the Philippine gaming landscape will be really exciting this 2017 – and that said, ASUS Republic of Gamers (ROG) being the World’s Undisputed number one gaming brand worldwide will definitely introduce more powerful gaming machines that will empower Filipino professional gamers and enthusiasts through their journey for glory,” George Su, Country Manager of ASUS Philippines System Business Group, said. Both the ASUS ROG Strix GL753 and Strix GL553 come equipped with the 7th-gen Intel Core i7 processor with the NVIDIA GeForce GTX1050Ti/ 1050 graphics. There’s also a PCIE SSD that provides fast load times for games and data transfers. GL553 & GL753 comes with anti-ghosting keyboard with up to 30-key rollover, 2.3mm key travel, and isolated arrow keys. 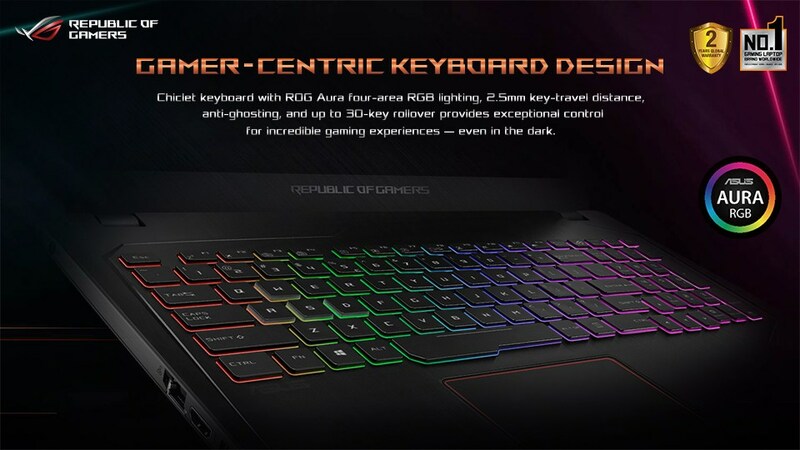 The 4-area RGB lighting Chiclet keyboard delivers an incredible gaming experience even in darkness.